Informers inform, burglars burgle, murderers murder, lovers love. 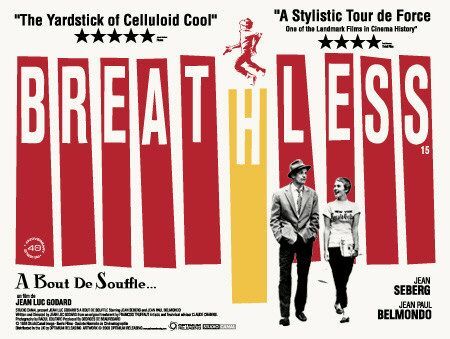 For the first selection in my “50 Movies” project, I opted for Jean-Luc Godard’s 1960 French New Wave classic, Breathless. I had never seen a Godard film despite hearing a lot of great things about his work. Breathless is his first full-length feature. The movie is about a young thief named Michel (Jean-Paul Belmondo), a guy who acts tougher than he is and aspires to be as cool as his idol, Humphrey Bogart. After stealing a car and then murdering a policeman out in the country, Michel goes on the run and tries to get his American on-and-off girlfriend Patricia (Jean Seberg) to flee with him to Rome. He doesn’t seem to be in too much of a hurry, however, since he finds time to charm Patricia and lounge around in her apartment. The cops are onto him, but he is more interested in getting laid than anything else. It’s pretty amazing that he is so lackadaisical about, you know, being on the run from the police, but he acts as if there isn’t a care in the world. Really, not a lot happens in Breathless. This is a film that relies heavily on its dialogue — of which is immensely quotable — and its revolutionary filmmaking techniques. Godard’s usage of jump cuts in this movie is very well documented, and it really works wonders here. These jump cuts keep the film moving at a brisk pace, and fit in effortlessly with the stylish flair from the era. While perhaps not as jarring today, this was a relatively new technique at the time and made some serious waves in the filmmaking world. I also loved how Godard shot the movie on the streets of Paris with many of its citizens unknowingly being used as extras. There are some truly stunning views of the city, and it is a great snapshot of its beauty during that time. I was impressed with both Belmondo and Seberg’s performances. Belmondo’s character, Michel, is initially grating since he generally acts like a douche bag with his nonstop attempts to get laid. As the movie progresses, I couldn’t help but to ease up on my view of him, however, and he became, dare I say, likeable by the time the end rolled around. That is a testament to Belmondo’s efforts more than anything. Seberg, on the other hand, is stunning. Her character, Patricia, is quick-witted and hard to read, and she has a mysterious aura surrounding her. She seems to be a strong woman, an American living in Paris who has learned the French language (albeit while still struggling with some slang terms). 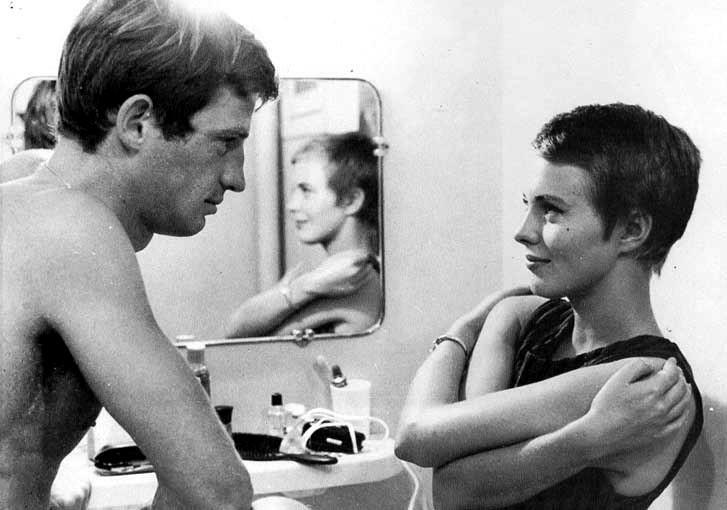 Her relationship with Michel is intriguing, enough so that a 25-minute-long sequence with the two of them just sitting alone in her apartment is never boring. While some may dismiss Breathless for its meandering plot, this is still a film classic that is accessible for even non-movie buffs. As one of the most influential movies ever made, it is still remarkable that it feels just as “fresh” today as it did back then. I don’t believe I have any other Godard films on my list, which is a shame because now I would like to dig more into his filmography.